A trip to Disneyland may give you more souvenirs than expected: State officials in California have urged that infants and other people not vaccinated against measles avoid visits to the state’s Disneyland theme parks after an outbreak of the disease. Fifty-nine cases of measles have now been confirmed in California. Measles is a highly contagious disease, which often affects children. It starts with a fever, cough and runny nose and then progresses into a skin rash. The California Department of Public Health has urged any residents who are not vaccinated to go out and get vaccinations to stop the outbreak spreading. “This is not a trivial illness,” said Dr. Gil Chavez, deputy director of California’s center for Infectious Diseases. However, he also said at a news conference on Wednesday that the theme park would be “perfectly safe” if visitors had been immunized. 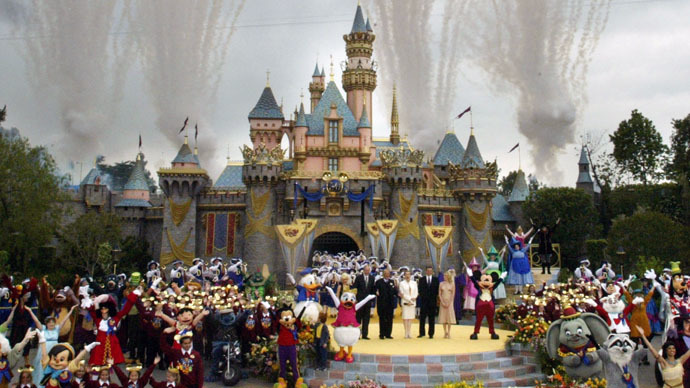 The outbreak began in December, and 42 cases have been linked to an initial exposure at Walt Disney Co.’s Disneyland or Disney California Adventure Park in Anaheim. Park officials have said that five of 27,000 people working at Disneyland have been diagnosed with measles and three of those have been cleared to return to work. Employees who don’t want to get vaccinated or be tested for immunity from the disease are being put on paid leave until the incubation period is over. “As soon as the [Orange County] Health Care Agency notified us on January 7, we immediately began to communicate to our [workers] to raise awareness. We also offered vaccinations and immunity tests,” said Pamela Hymel, chief medical officer with Walt Disney Parks & Resorts. California health officials are not sure where the outbreak came from, but believe it may have originated from an international traveler visiting the Disneyland or a resident of the area who had been to the theme park who had also been aboard recently. Eight other measles cases have been linked to Disneyland in Utah, Washington State, Oregon and New Mexico and another case has been reported in Arizona. Measles vaccinations have been available in the US since 1963 and in 2000 it had been considered eliminated, although 2014 saw 644 cases from 27 states.